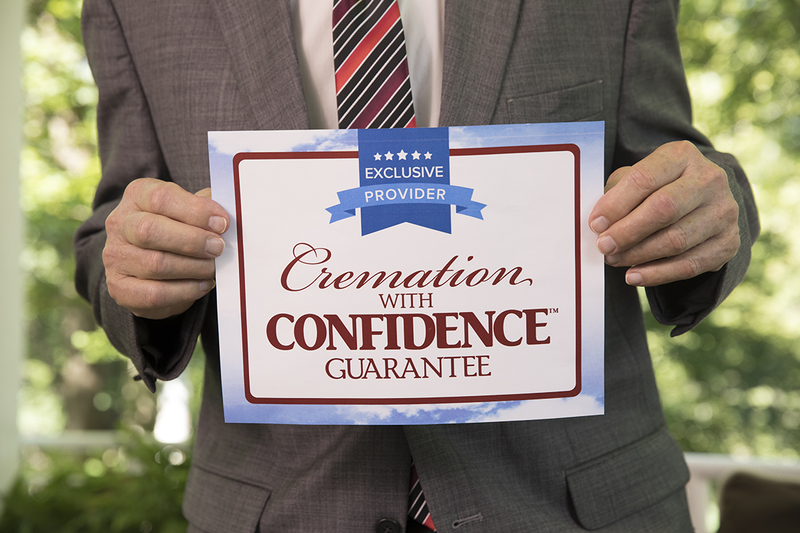 What is the Cremation with Confidence Guarantee and Why Does it Matter? It’s not hard to see why. When words like “cremation abuse,” “fraud,” and “scandal” crop up again and again in the media, people take notice. When the national news spotlights cremation providers engaging in unethical practices to cut costs, people worry. When local stories circulate about dreadful errors certain providers make when they don’t follow protocol, people become skeptical about every provider. This is why we developed the exclusive Cremation with Confidence™ Guarantee: To give families another layer of protection against cremation fraud and scandal – and the peace of mind that comes with it. Treat your loved one with respect and dignity. Provide a system of checks and balances, ensuring the cremated remains returned to you are those of your loved one. CLICK to find a Cremation with Confidence™ provider in your area. Your peace of mind is worth it.